The four day art fair brings together a number of modern and contemporary artists to present their works. 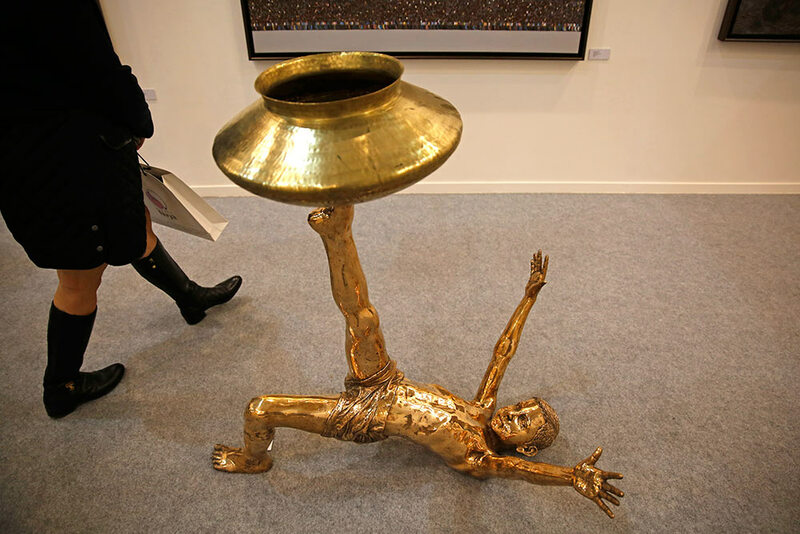 A visitor walks past an art installation titled Dream Walker by Rajesh Ram during the India Art Fair in New Delhi. 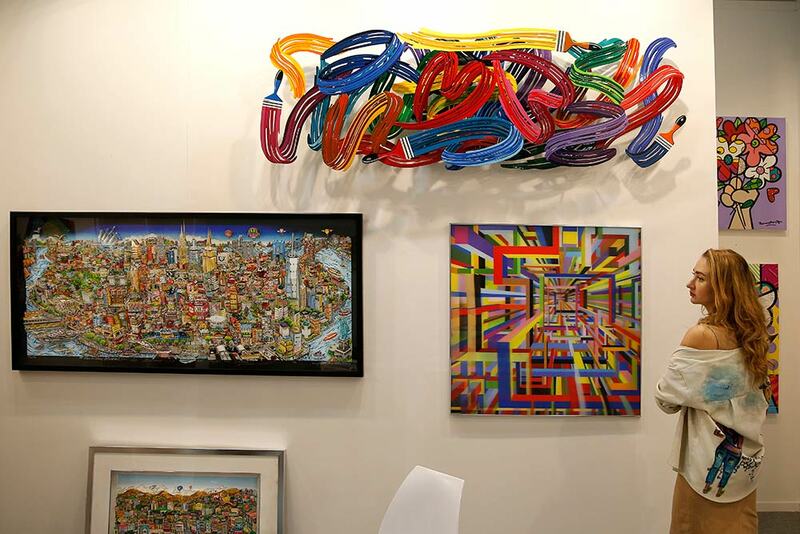 The four day art fair brings together a number of modern and contemporary artists to present their works. 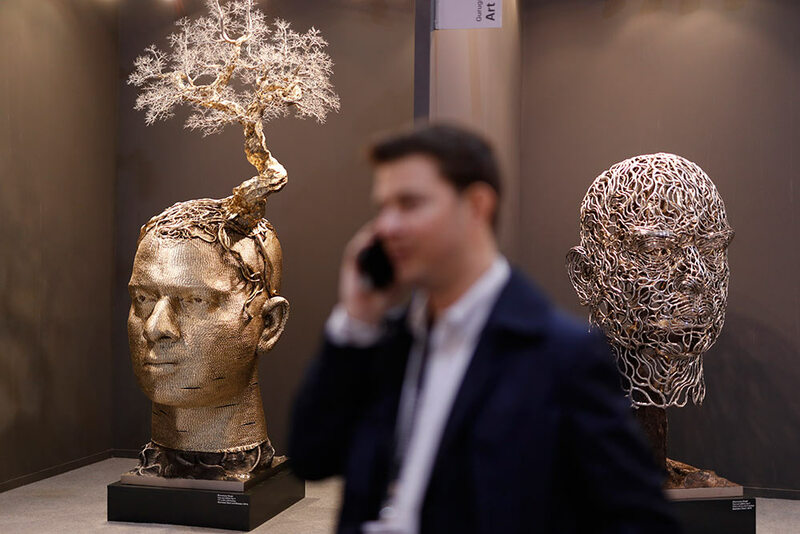 A visitor speaks on a mobile next to an art installation by Dhananjay Singh during India Art Fair, in New Delhi. 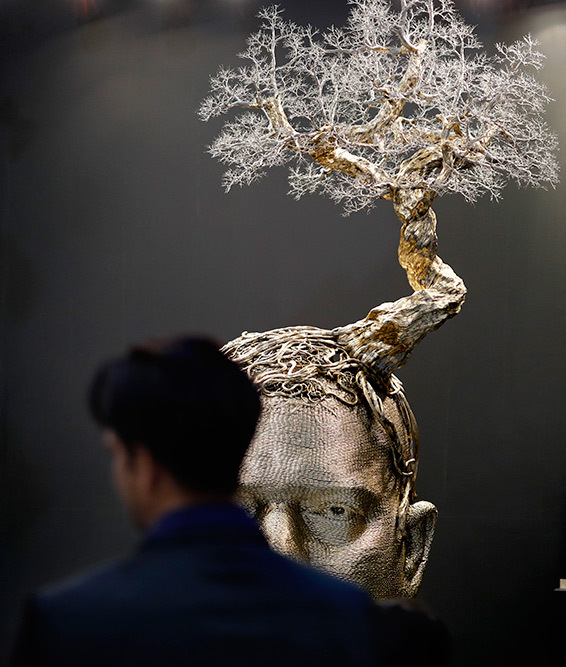 A visitor looks at art installations at the India Art Fair in New Delhi. An art installation representing Myanmar's ?State Counsellor Aung San Suu Kyi and the Rohingya exodus by Aminul Islam Ashik is displayed at the India Art Fair, in New Delhi. 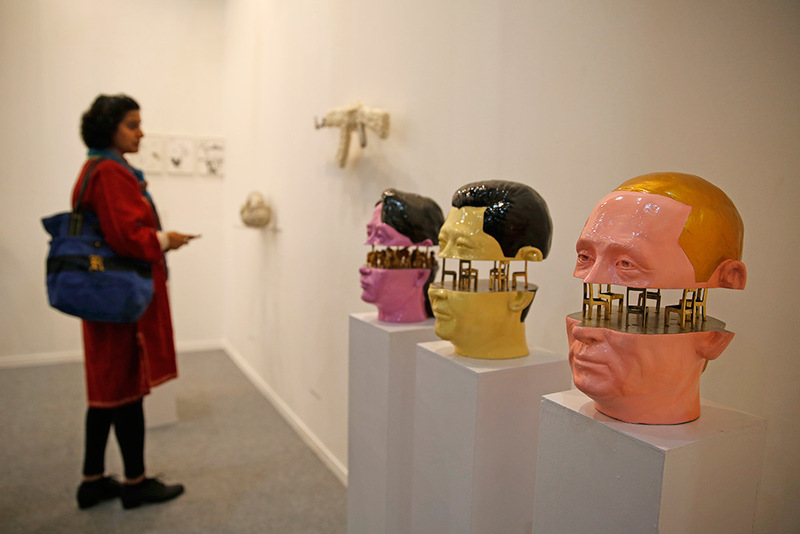 An art installation by Aminul Islam Ashik showing, from right, Russian President Vladimir Putin, Chinese President Xi Jinping, and Myanmar's ?State Counsellor Aung San Suu Kyi stand on display at the India Art Fair, in New Delhi. 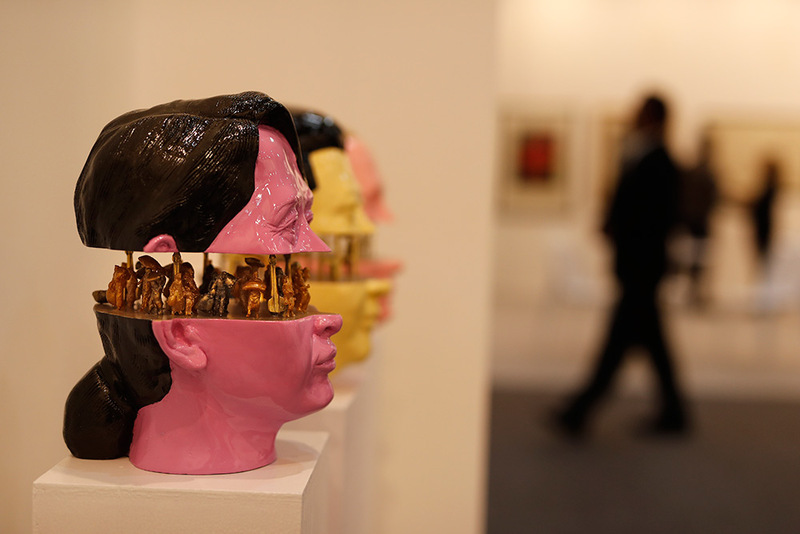 A visitor looks at an untitled art installation by Chittrovanu Mazumdar at the India Art Fair in New Delhi. 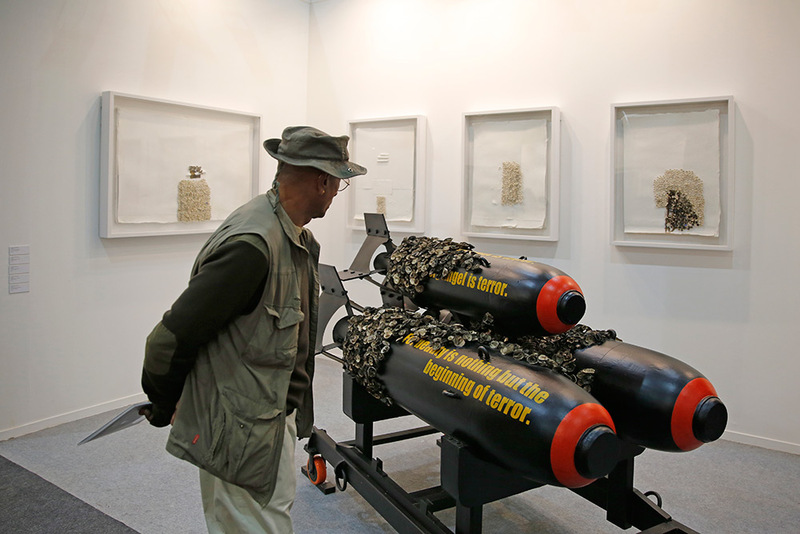 Artist Dhananjay Singh stands next to his art installation during the India Art Fair in New Delhi. 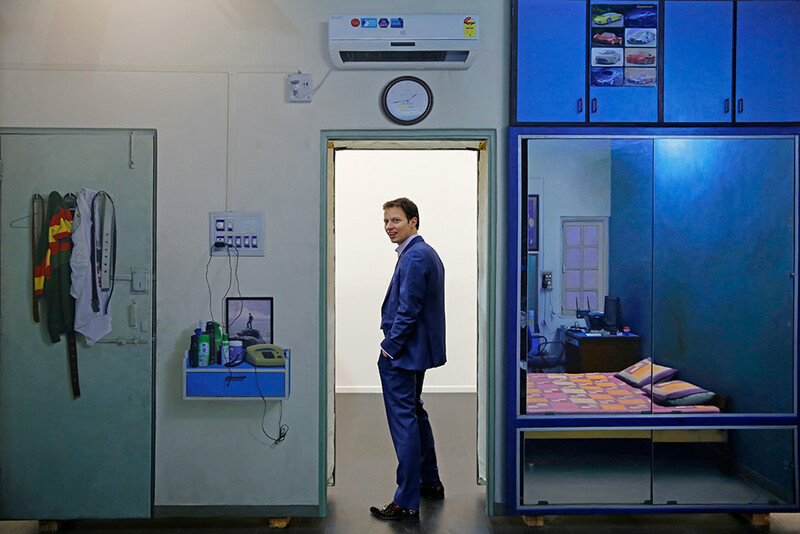 A visitor visits an art installation titled Displacement Wall I and II by Abir Karmakar during the India Art Fair in New Delhi.